Been busy as a bee. I just received my 50th question so although I have to do three artwork tonight (gasp) I figured I should rid this off my drafts (yes, I am sorry to admit that answers 20-40 something was drafted) and remind you that I am still looking for 50 questions-slash-beauty challenges-slash-opportunities to interact with you :) In exchange, one of you would receive a Sigma F80 brush... and who knows, if the conversation last long or becomes fruitful, I may add some more (October is my birthday month). 2. Comment on this post with your Google Friend Connect name and email address (I will contact you via this), no Anonymous entries. Also include in your comment this: "I want to win a Sigma F80 Flat Top Kabuki Brush Ms.K!" Copy/Paste it so easy for you, :) One comment per person only, please. 2.1 BONUS ENTRY: Follow me on twitter and tweet me: "I want to win a Sigma F80 Flat Top Kabuki Brush @kumikomae!" One tweet per person only, please. 2.2 BONUS ENTRY: Post on my Facebook Page Wall here "I want to win a Sigma F80 Flat Top Kabuki Brush Ms.K!" One wallpost per person only, please. 2.3 PLUS 5 BONUS ENTRY PTS: Email me (kumikomae@lovingsunshine.com)!Send me a beauty question and I will answer you as soon as I can! I want us to be friends so I'm giving this option weight! :) Please email me in english only. Or Spanish! I'll try my best to answer properly! :p One question per person only, please. 3. In your comment/entry, include links where you tweeted or of your FB post on my wall. So I can account for your entry! If you emailed me, don't forget to mention your email address! What`s the best hair serum/oil you`ve ever tried? This is an easy question. I have really bad hair so every good effect is noticed with glee. 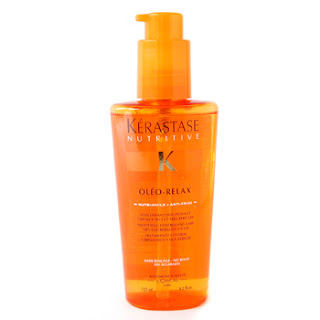 The best hair serum I've ever tried is Kerastase Nutritive Oleo Smoothing Serum. It really tames down the frizz I have curly hair so you know what kind of frizz I have to tame down and it is light-weight and fragrant. The price is not even a problem, because a little goes a really long way. It is available in most salons and is definitely worth every cent. I've been a user since higschool. Note: I'm almost a decade off highschool. How do you take care of dark spots, if you have them? I used to have dark spots but I fix them by whitening (which evens out any skin imperfections, including dark and pimple spots). Lately I've been taken cared of by my Garnier Light Overnight Peeling Cream. It is by far the most soothing and effective peeling cream I've tried. It's so gentle and it leaves my face soft and supple upon waking up the next day. I really love it. It effectively erase my nasty pimple mark and it also evened my skin so now I not only look fairer but I also look younger (since uneven skin tone is a sign of skin aging). Simple pimple question lang: How young would you say it is ok to start using make-up? I've been using make-up since highschool, although it wasn't allowed. If you were stranded on a desert island and you could only bring three make-up items with you, what would they be and why? 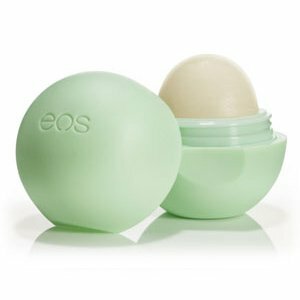 I'd bring my EOS Lip Balm in Sweet Mint (because it's sweet and minty haha). Hope he comes with the package! I'll also bring my Human Heart Nature Mineral Powder because it's really the best (cruelty-free, all natural and sweet smelling) pressed powder in town. Lastly, I'd have to say my Human Heart Nature Mineral Lipstick in Sweet Nectar goes with me wherever. Check this out for Sweet Nectar swatch. I would like to know if it's okay for me to use salt scrub on a daily use. I scrub at least thrice a week, so that's almost every day and as long as you moisturize intensively soon after, I think it's alright. My skin never felt better and smoother since I welcomed body scrubs in my regimen. Sticking to the gentle and natural ones would help. Read the label and stay away from nasty chemicals. Would you like to know more about these nasties? I had terrible blackheads, especially on my nose, do you have any tips or solutions on how to remove them? can i ask more? how to choose the right foundation for our skin tone? A routine facial can go a long way in keeping those nasty blackheads from forming. For basic facials, I have long loved the facial services from Let's Face It. All very reasonably priced and I always leave their care smooth and soft-skinned. You should try their facial along with the right mask for your skin (are you oily, sensitive, dry?). It's a very soothing experience, painful at first, but definitely worth it. On a daily basis, you could get away with a strict facial cleanse regimen. If you have normal to oily skin, try Human Heart Nature's Balancing Facial Wash because it has mini bamboo scrubs that would help you keep those dry skin / build up at bay. I have curly hair... but it's not the pretty big curls you see in the magazines! I have gone through a number of straightening treatments too so my hair's kind-a weird right now, but I had this blog before on how to amp up hair volume overnight. You can check it out here. What you can also do is this simple trick (best on damp hair): tilt your head down, spritz on volumizing spray (or apply hair mousse) from your roots, comb through your hair, spice it up a little by giving it a messy shake, flip your head/hair back and there you have it. Volume-in-an-instant. Think KK. What`s your favorite beauty and hair product? My favorite would definitely be Human Heart Nature's Intensive Hair Mask. If you've been following me on facebook, you may have already heard of my raves for this product. 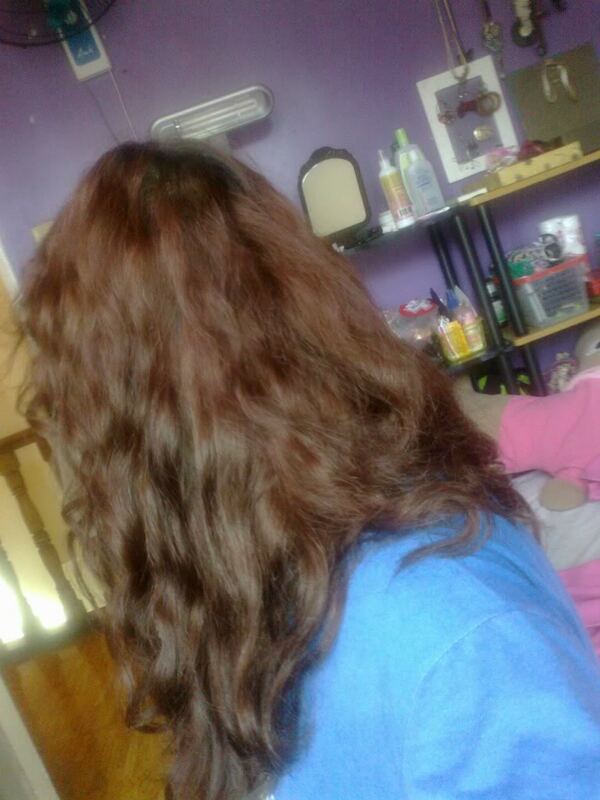 I color my hair a lot and it really saved me from so much hair fall and bad hair days. I've been loving the product for almost over a year now and I can't live without it, serious. Like when I color my hair, I use the hair mask as my daily conditioner--for a week or so, and because of that my hair is left bouncy and soft and shiny--despite my chemical habit. What are your Mac´`s favorites? Another thing, I would recommend for you to stick to monochromatic tones for your eyes since you have little space to work with :) I think playing it neutral on your lids (aka downplay your problem areas) will help. 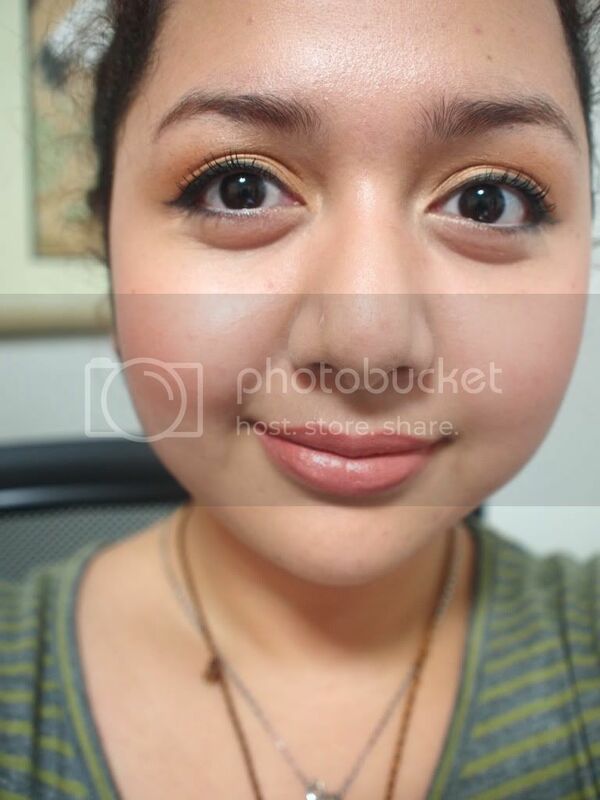 Benefit has this cream shadow called Birthday Suit which is really really pretty. 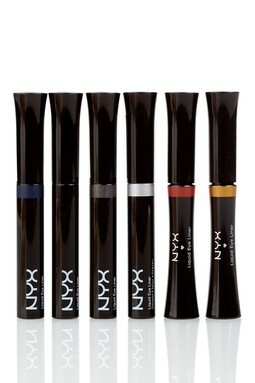 Pair it with a liquid pen liner from ELF and or liquid liners from NYX cosmetics which has a wide range of colors. 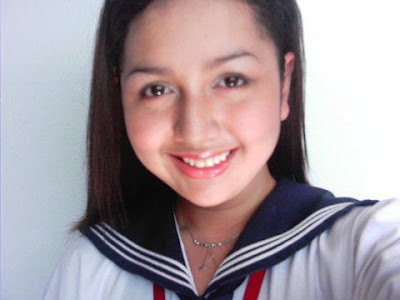 You look so adorable in the school uniform hun!! So angelic! "I want to win a Sigma F80 Flat Top Kabuki Brush Ms.K!" i love this post always.. nice nice read tlaga!! thank you for sharing these sweety.. 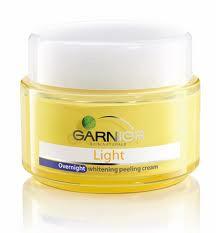 I would really like to try the Garnier Light Overnight Peeling Cream :) thanks for sharing! What a great post! Love your answers and thanks for sharing! You look so pretty and I'm jealous of your gorgeous curly hair.